This year, one of the world’s most valuable coin collections is being auctioned off and it’s expected to sell for a total of over $200 million. While a number like that is hard to imagine, it’s even harder to believe that this ultimate coin collection belonged to a man who started out as a kid coin collector like you! Back in 1974, when Brent Pogue was 9 years old, his father gave him a sack of old pennies along with a coin price guide. He wanted to give his son a hobby. What he ended up giving him was a lifelong hobby and the start of what would eventually become Brent Pogue’s job as a numismatist. As Pogue grew up, he became interested specifically in early federal coins – American coins that were minted in the first 50 years of America becoming a country. At the age of 17, he convinced his father to buy an 1822 $5 gold piece for over $600,000! Up until it began to sell in May, Pogue’s collection was considered complete. That means he had a coin example for all coin designs minted in the first fifty years of American history. These 650 coins in all included the first coin of the American nation, the half dime, minted in 1792. A story in the coin collecting community is that the new United States didn’t have much of a silver reserve and so Martha Washington allowed her husband, President George Washington, to melt down her silver set to be made into coins. In an interview with Forbes, Mr. Pogue notes that all coin collectors are really historians. His cool story is an inspiration to all young coin collectors that, though you may not become a full-time coin collector, you will certainly learn a lot along the way! 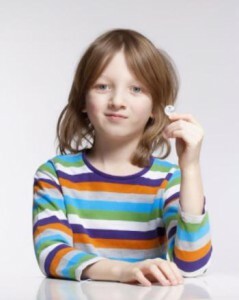 You’re never too young to start coin collecting. Brent was just nine years old! Know your history. By understanding the story behind each coin, you begin to understand what’s valuable. Take risks! Just make sure your risk-taking doesn’t bust your piggy bank. Know that sometimes you lose, sometimes you win. For example, you may think a coin will grow in value over time only to find it’s not as valuable as you were hoping. Other times, though, your investment in a coin can prove a good choice. Patience pays off. Brent Pogue didn’t gain his world famous collection overnight. As a collector, you’ll need lots of patience. If you’re on the journey to become the ultimate coin collector or investor, keep reading to learn more about coin collecting – from how to care or your coins to the names of the parts of a coin.